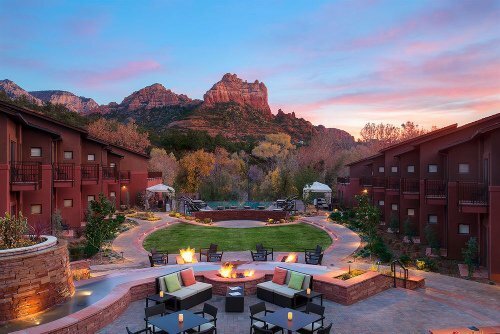 Looking for a relaxing and rejuvenating time away at a Sedona spa resort? 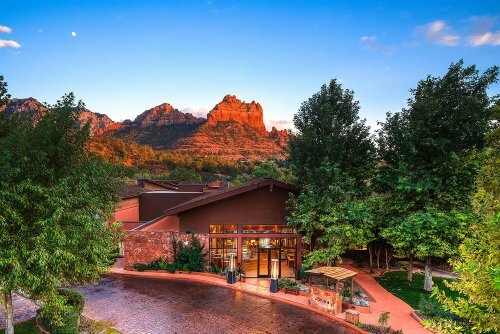 We've hand-picked the best of the best in Sedona, Arizona. They are all 4 or 5 star resorts. Enchantment Resort is one of our featured resorts. To read about it in detail, click here. Location: Red Rock Formations, Boynton Canyon, Sedona. Spa Features: Facials (12 kinds), Ayurvedic Treatments, Connect with Spirit (Reiki and more), Connect with Spirit Specialties (hypnosis, Native American Inner Quest, Body Feng shui, and much more), fitness , nail care services (8 kinds), Mii Amo Baths (3 kinds), body treatments (7 kinds), Mii Amo Massage (14 kinds), health and nutrition, mindfulness,more. Accommodations: Adobe Casista-Style accommodations. Decorated in Southwestern style. Every room has an outdoor deck with view of the canyon. Resort highlights: tennis, self hiking, swimming, outdoor whirlpools, mountain bike rentals, par-3 golf course and putting green, croquet, Camp Coyote Children's program. 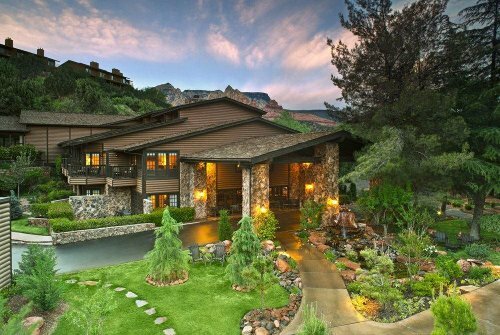 What reviewers say: Lovely property, great but very expensive, bathroom was huge, gorgeous red rock views almost every direction, fabulous spa, some front desk staff issues, customer service was superb, very friendly and warm staff, very comfortable beds, food is average and sometimes overpriced, spa is A+. Location: West Sedona, Arizona. Close to uptown Sedona and an arts and crafts village. Spa Features: Full range of treatments matched with the season and individual needs. Uses nature products and essences. Staff member talks with you before treatment to find the right fit for you. Uses experienced and licensed staff only. Steam room, Zen garden, and fitness center. 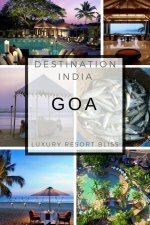 Accommodations: 77 rooms - 4 suites, Mediterranean and North African inspired decor, patios or balconies on most rooms, wireless internet, some rooms have a gas fireplace. Pet friendly. Resort highlights: outdoor pool, jacuzzi and fireplace; 100% nonsmoking environment. 1 restaurant - Reds. Hiking, biking, golf and 2 state parks close by. What reviewers say: great view of the red rocks, bed are nice, really nice hotel, great shower, effortless check-in, great front desk staff, spacious and clean room, food is good and well-priced at Reds, very chic and modern, great mattress, not far from anything, suite doesn't mean separate bedroom, relaxing, blissful. Get more information and see the latest reviews for Sedona Rouge. Location: on Oak Creek, uptown Sedona. One block from galleries and shops. Spa Features: uses Elemis products, massage (7 types), 3 body treatments, facials (12 types), nailcare, spa beauty therapies, spa classes. 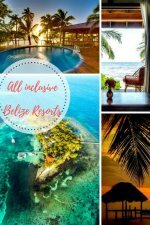 Accommodations: 100 rooms, decorate in a contemporary style with black and red furniture, all have furnished balconies/terraces, there's a Zen garden, complimentary wireless internet. Resort highlights: winner of 4 Diamond Award, 3 restaurants, outdoor heated saltwater pool and hot tub, outdoor firepit, weddings, small fitness center. Golf, hiking, biking and other outdoor activities are all close by. What reviewers say: love the beds, restaurant was a little expensive but the food is good, rooms are small but not tiny, nice furnishings, very comfortable beds, staff helpful and pleasant, small hotel feel. Get more information and see the latest reviews for Amara Resort. 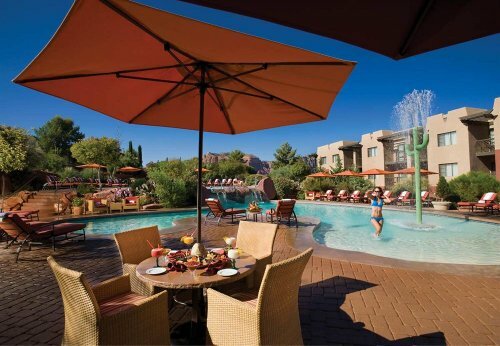 The following resorts are reviewed on our Sedona resorts page. 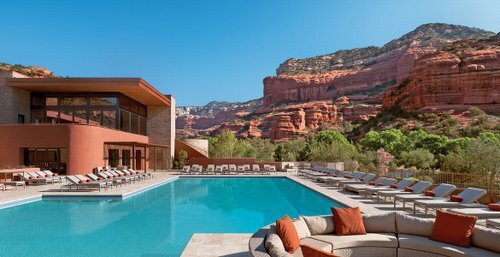 They are also great Sedona spa resort options.